As the center of the home, the kitchen certainly gets a lot of traffic, and you’ll be hard pressed to find a kitchen that’s always up to snuff when it comes to cleanliness. People are in and out all day long, and there’s always a dish to wash or a surface that needs cleaning. But we can at least try to keep things organized, right? It never hurts to be as organized as possible. That’s the goal here! We wanted to lend you a helping hand where organization and neatness in the kitchen are concerned, so we’ve compiled a list of the top ten kitchen organization hacks that you should start implementing in your own kitchen today. Check them out! 1. Forget the plastic wrap and use silicone covers for sliced veggies and fruits and open containers. Packing up leftovers is often the hardest thing about cleaning up. Forget using plastic wrap. Silicone covers fit on anything, including cut veggies and fruits. 2. Try magazine holders to hold your pantry items. Often, pantry items such as onions and potatoes need to be kept in cool places that are also dark. But what should you store these items in? It can be difficult to find easy to organize containers for potatoes, onions, garlic and other types of pantry items like these, but did you know that you probably already have something on hand that will work great? Try using magazine holders and see what they can do for your kitchen organization! 3. Create a dishwasher magnet that lets your family know when the dishes are clean and when they’re dirty. Sometimes, it’s hard to know when things are clean or dirty in your dishwasher. Don’t make it a mystery for you and your family. Instead, make a small sign that you can place on the outside of the dishwasher to notify people whether the dishes are clean or dirty. You can use a small chalkboard or create a sign that flips out of paper and some markers. This actually makes a great project for kids! 4. Try magnetic spice and herb holders to keep your flavors organized. Keeping spices and herbs organized is something else that can make your kitchen even messier. When you don’t know where a certain spice is, you might tear the whole room apart just looking for it. With a set of magnetic spice containers, all that fuss goes out the window. 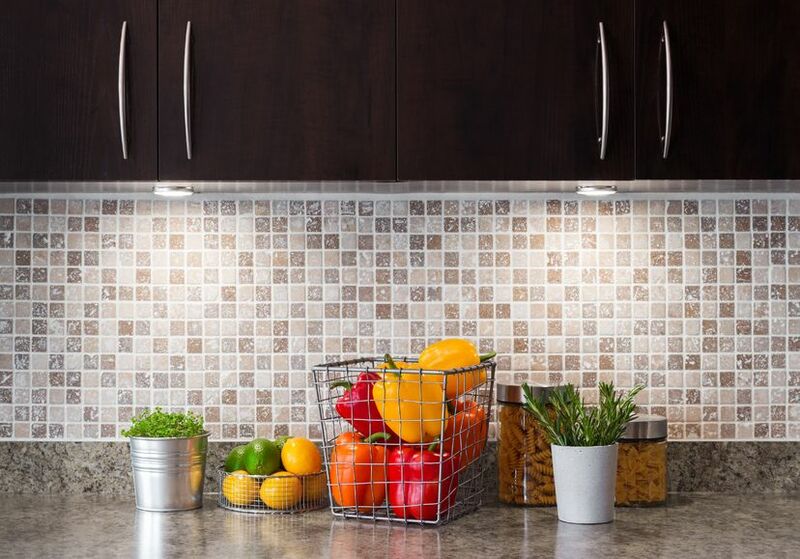 You can attach your spice containers to your fridge or place a metal panel on your wall to hold them. Most even have a place for labels. 5. Keep a healthy snack drawer in your fridge. Eating healthy is hard to do when your whole family is busy. Help your kids and spouse stay healthy by sectioning off a place in the fridge that is just for healthy snacks. Make it a drawer and put things like cut up fruits and string cheese there. 6. Create a homemade recycling center so there’s no sorting involved when you head to take the trash out. Recycling should be done in all households, but it’s tough when sorting can be such a pain. Fortunately, you can take the sorting out of the mix. All you need to do is get bins for every time of material and set up the bins outside or in your garage. The sorting is done right away and eliminates the hassle! 7. Use dowels under your kitchen sink to hold garbage bags. Bags are something that are never in short supply in the kitchen. One type of bags that we all need is garbage bags, and these often come in a large role. To keep them from ending up unraveled and hanging out in the very back of your dirty cupboard, just put them on a dowel and hang that dowel inside your cabinet. It’s an easy and clean-looking fix. 8. Put wall hooks inside cabinets to hold measuring spoons and other small utensils. Small items that you use on a regular basis often get lost in the shuffle when it comes to organizing your kitchen. Things like measuring spoons and attachments for your mixer should have a set place to go. You can help facilitate this easily by simply putting wall hooks on the insides of your cabinet doors. Hang whatever you like there for easy and instant organization. 9. Try a desk paper sorter for baking racks and baking sheets. Baking racks and baking sheets can pile up in the back of your cupboards and make you never want to bake your grandma’s favorite cookie recipe. But the fix is simple. Just get a paper sorter that would normally be used on a desk in an office and put it in the bottom of your cupboard. Set the racks and trays there and there you go! It’s instant clean up. 10. Get a coffee scoop that also doubles as a coffee bag clip. Where’s the coffee scoop? That seems to be an eternal question in many households. To help you and your family stay organized in this way, why not get a coffee scoop that can actually double as a clip to hold your coffee bag together? It also makes a great gift for those who love coffee and can’t get enough of it! When it comes to organization in the kitchen, there’s always going to be extra utensils and dishes lying around, and let’s face it: The counters are rarely going to be spotless and clear of clutter. But as we said in the introduction, it’s all about trying your best to make being organized easy instead of a hassle. So what do you think? Will these organization tips and tricks help you and your family stay better organized? We hope so! All of these pieces of advice should make everything so much easier to find, and your food prep space should just feel better when you walk into it. Who knows: Maybe you’ll be so organized, you won’t even recognize your own kitchen!